There are ads everywhere online showcasing miracle weight loss supplements sourced from natural ingredients like green coffee and raspberry ketone. Companies make claims that sound fantastic, inspiring, and oh so tempting to believe. But, of course, if any of these supplements they’re selling actually worked in the way they say then it would be front page news, not back page advertorial, and we would all be taking them! Sure, most of these naturally derived supplements won’t do you any harm. But if you’re diet is endocrine disruptive – if the foods you choose to eat work against rather than with your hormonal patterns – then your body is going to gain and retain fat out of sheer confusion and biological panic. Your body will start acting in opposition to how you’re feeding yourself in order to retain what it needs to keep your brain, heart and muscles functioning. We need fat to function, but excess fat is a sign that your body is in this panic mode and hedging its bets that you will not be making the best decisions for your health. Adding one supplement into that mix isn’t going to make any difference, I’m afraid. I remember what it was like to be obese and, believe me, losing that weight wasn’t as simple and easy as taking one miracle supplement from a magazine. You know that, I know that. 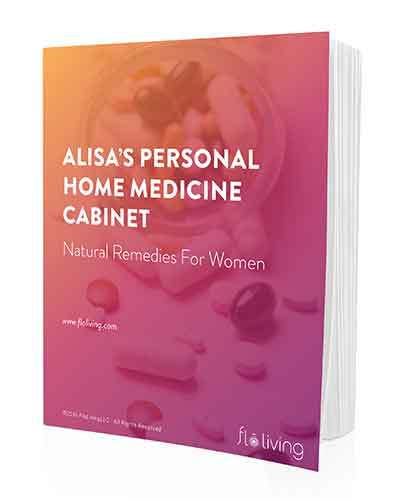 However, within the Flo Living protocol, which I developed as a result of my own personal struggles with PCOS, weight gain, acne, and other hormonal imbalance symptoms, there are certainly supplements you can take to speed up and support sustained, healthy weight loss. I have lost 60 lbs twice in my life – the first time in my early ‘20s when I got to grips with my hormonal health problems and then after I had my daughter. I did it without the use of any alleged miracle supplements, but also without starving myself, over-exercising or feeling miserable and deprived. So, which supplements do work? Which products should you be spending your money on? Here is what I used as a part of the Flo Living protocol when I was trying to drop the pounds both those times. These work because they support your endocrine system and the needs of your adrenals, liver and thyroid. Of course, supplements without making the food based dietary changes that are the bedrock of the FLO protocol, will not be as effective as they could be when you use them with the powerful endocrine supportive diet I recommend. 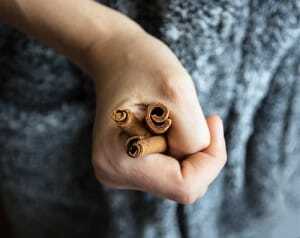 Cinnamon helps balance blood sugar to keep weight off long term: I like Cinnamon Force from New Chapter – I’m a huge fan of cinnamon for blood sugar stabilization. I put it in smoothies, on eggs, in my oatmeal. But this super strength supplement makes it very easy to get the daily dose you need. You want stable blood sugar so you can avoid the crashes that can cause binge eating or cause your body to feel panicked and retain excess fat. A significant study published in the Journal of the Academy of Nutrition and Dietetics revealed the potential of cinnamon supplementation to help those who are overweight and obese. Adaptogens make your adrenals happy so they program your fat cells to release fat: Ashwangandha or Oatstraw (I like the HerbPharm liquid tinctures) – these are adrenal-supportive supplements. If you have anxiety take Oatstraw tincture, otherwise use a good Ashwagandha supplement daily. These will decrease your levels of the stress hormone cortisol, which will help you to lose weight. In a study from Ohio State University, the researchers actually found that women who experienced high levels of stress burned more than 100 fewer calories than women who had not experienced stress, during the period directly after they had eaten a high-fat meal. This disruption to the metabolic process, caused by stress, builds up to the equivalent of 11 pounds potentially gained every year! Feed your thyroid the micronutrients it needs to do its job of revving your metabolic fire: I like Gaia Thyroid Support – this seaweed-based iodine source supports thyroid function. Of course you can’t use this if you have an iodine allergy or have Hashimoto’s. Your thyroid regulates your metabolism, so in order to create a humming metabolism you need to support your thyroid. Thyroid problems are very common in women and often go undiagnosed for years. These problems can be the root cause of weight gain and your inability to shed pounds. Second, have you tried weight loss supplements and they’ve not worked for you? Can you use oat straw if you are taking anti-depressants like celexa and Wellbutrin? And the Gaia Thyroid support if you are on synthroid to regulate your thyroid? Please check with your doctor if you are worried about interactions! Why can you not take the thyroid support if you have Hashimoto’s? Hi Stephanie, Iodine can be bad for this condition! I have Hashimotos but I am iodine deficient and my Dr put me on Iodoral it has 5mg of iodine and 7.5mg of iodine ( as potassium salt) I take 2 pills and it has helped bring my thyroid numbers in normal range. I was also just put on a natural hormone support that has DIM and Glucoraphanin (from Broccoli extract ) to reduce the estrogen I had I had too much and was put on progesterone cream. I am having to have a MRI of my adrenals because my DHEA levels have been climbing since 2013 and my other Dr seemed to not be concerned but am going to a new Dr and have found that could be a sign of adrenal cancer or a benign tumor. I have felt much better since new Dr has put me on the hormone support and progesterone cream. She has also given me a natural xymogen brand liver, kidney, colon detox to help my liver which the Alt level have been climbing for over a year and now is over 51. I have to go back next week and have blood draw to see how things are. Any suggestions or knowledge of why my DHEA is high? I am having the hardest time loosing weight Dr said she thinks it’s due to my liver not working properly and not metabolizing my hormones ect.. Out of my body. Can you take these while breastfeeding? Hi! Just wondering if these are safe for nursing moms? Yes, you should not take iodine! You said to take Oatstraw if you have anxiety. Is it ok to take Ashwagandha if you have anxiety? Does Ashwagandha effect someone who is anxiety prone differently? Can we take GAIA thyroid support even if thyroid function blood tests are normal? Hi! What about Artic Root (Rodiola Rosea) for adrenal support? I’ve used this adaptogen for years and its basically cured me of my panic attacks. Hi Tricia, yes this is wonderful as well! I once heard Iodine was bad for acne prone skin. Do you find that to be true? Thanks for sharing these tips for the weight reduction..!! I have gone through many weight loss solutions but nothing worked out.. But my friend recommended me to use cinnamon and it worked out. Mixture of cinnamon and honey can help you start things off on the right foot. Take the mixture right when you wake up and wait 30 minutes before having your breakfast meal and notice the difference. Are these safe if you are trying to get pregnant? I am struggling with PCOS and hypothyroidism. I am currently on NatureThroid but it doesn’t seem to be helping. I am looking into taking Designs for Health – Thyroid Synergy and wondering if it would be too much to also take it with Designs for Health – Iodine Synergy? Adaptogens Ashwangandha or Oatstraw (HerbPharm liquid tinctures)? are whey, soy and caseinn protein. I Was Just Been Diagnois Of Thyroidrism And My Dr Ask Me To Use Kelp Tabs,i Am Nursing Mom.